Simon and Kamina, brothers in arms, take upon themselves to venture beyond the borders of their world, reality and imagination. Venturing further and further into a hidden truth that has kept humanity prisoners for millennia. This is an anime movie based on my most favourite animated series of all time, Tengen Toppa Gurren Lagann (2007). The thing that stood out most about the series was its sheer epic scale that surpassed anything I'd ever seen before. 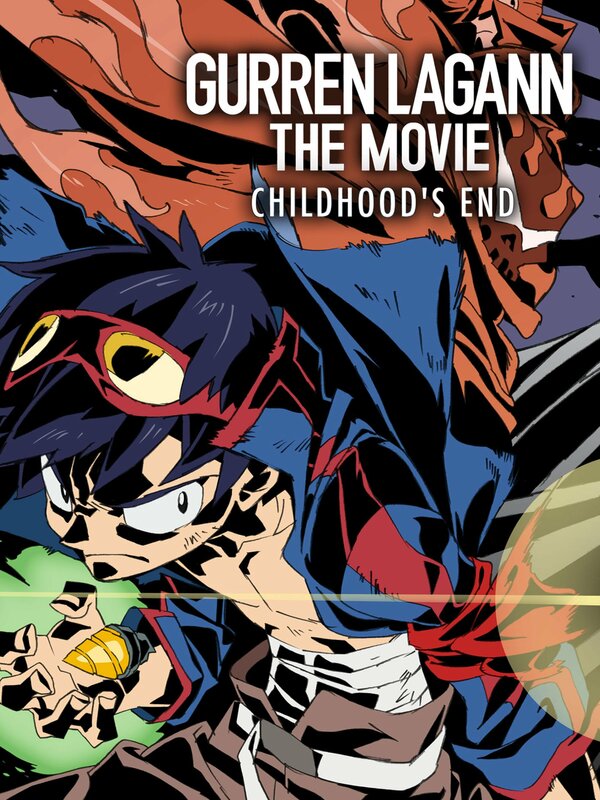 However, this movie only covers the first half of the series, so it doesn't quite reach the epic heights near the end of the series, though that will probably be covered in the sequel Tengen Toppa Gurren Lagann: Lagan-Hen (2009) releasing later this year. Although it's not quite as amazing as the anime TV series, since director Hiroyuki Imaishi obviously had to squeeze a lot of episodes down into just two hours, I think he did a very good job of it. A few welcome changes to the plot and battle scenes were also made to give fans something new to see. Overall, it was incredibly enjoyable and very moving to watch, though one might need to watch the Tengen Toppa Gurren Lagann TV series first (or at least be familiar with anime in general) to really enjoy this movie.